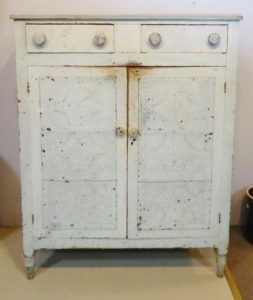 Cookies and Lemonade Served each Weekend…Free!! 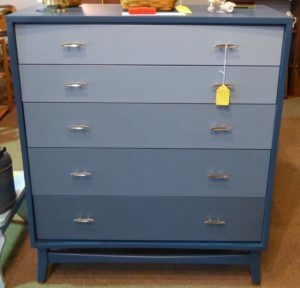 Solid Wood 5 Drawer Dresser – Shades of Blue – $150.00, Booth 202. 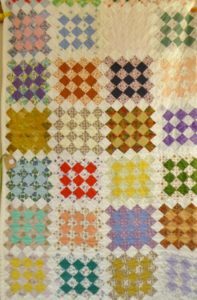 Hand Sewn Quilt from Booth 38 – $125.00. 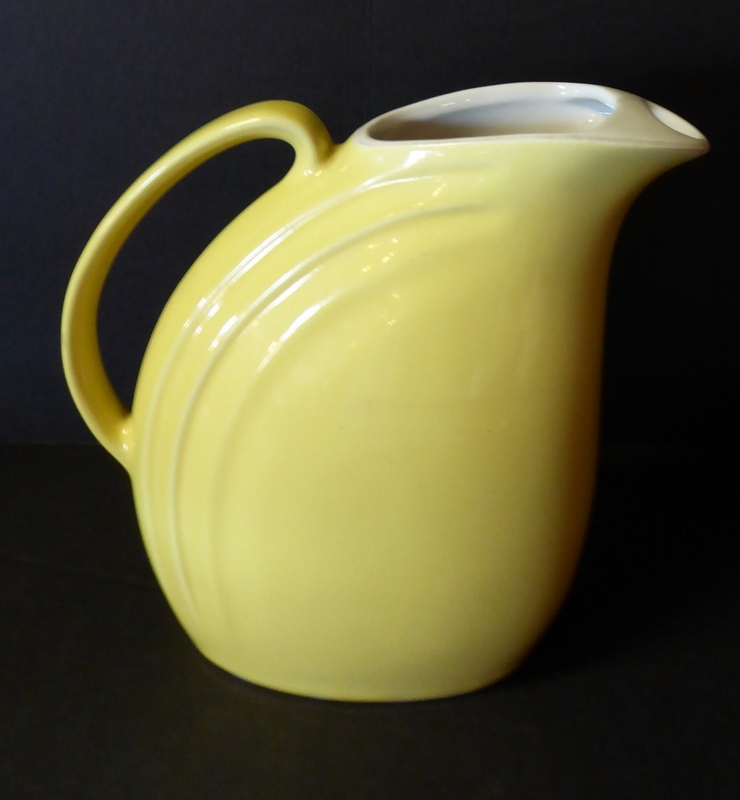 Yellow Hall Pitcher from Booth 315, $35.00. 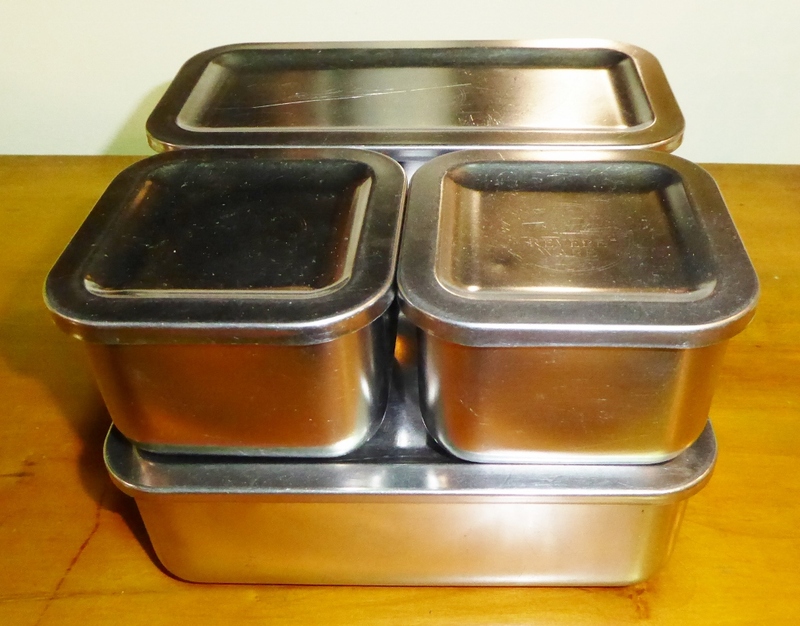 Stainless Steel Revere Ware Refrigerator Set – 4 Pieces, $40.00. 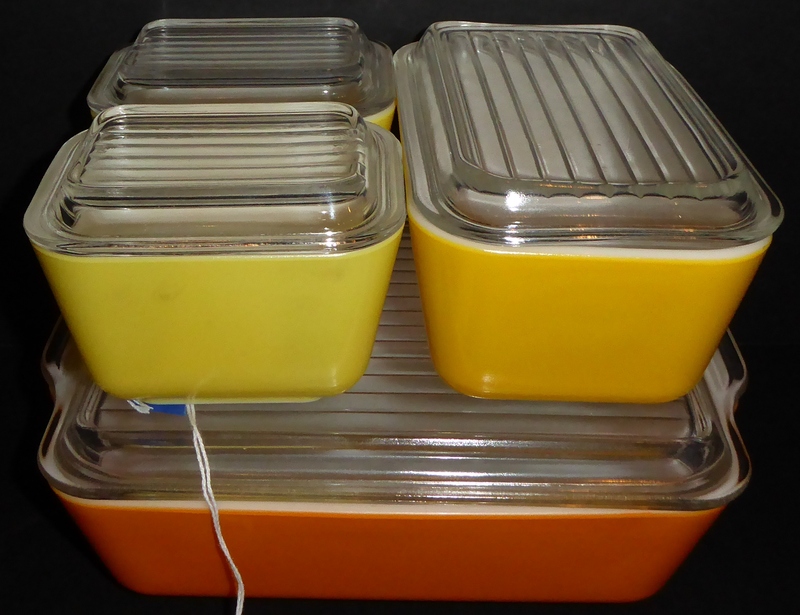 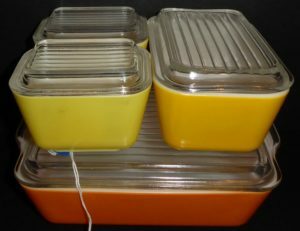 Pyrex 4 Piece Set Refrigerator Dishes w Lids – $75.00 – Booth 202. 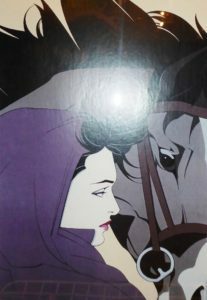 Print, Framed/Matted, Horse and Lady in Purple – $85.00, Booth 586. 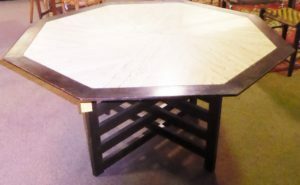 Hand Crafted Cedar Bench from Booth 111, (Nice.) $325.00. 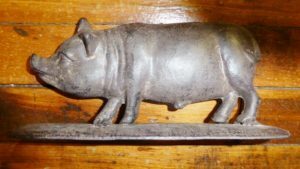 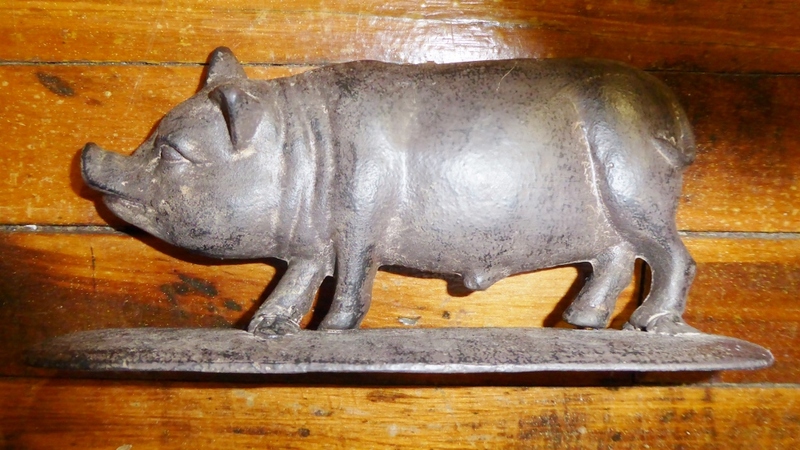 Cast Iron Pig, Booth 100 – $28.00. 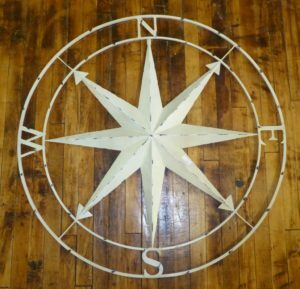 Round Directional Sign from Booth 100 – $95.00. 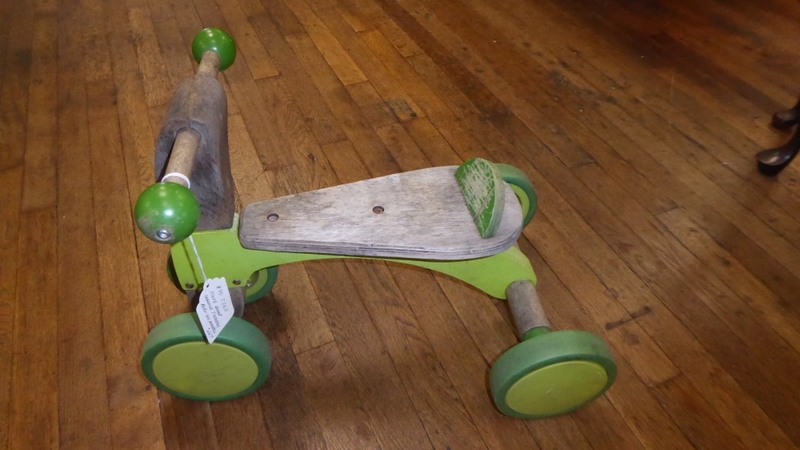 All Wood Scooter – ‘Hape Scooter’ Booth 90, $26.00. 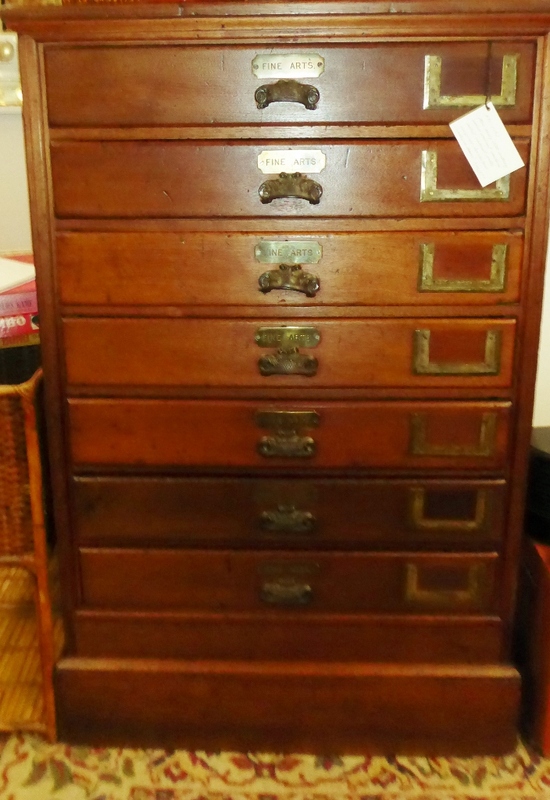 Early 20th Century Solid Walnut Artist’s Cabinet w Original Hardware, $1425.00, Booth 90. 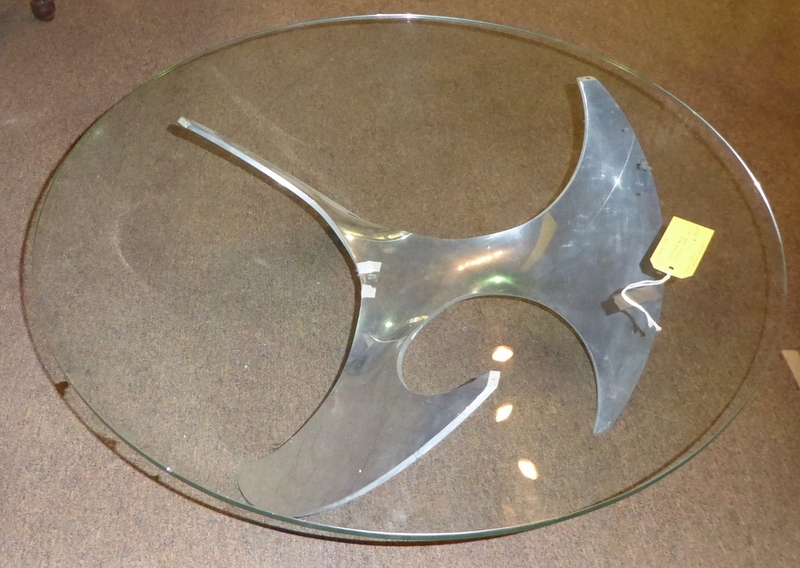 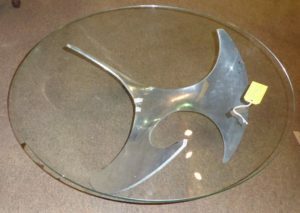 Fantastic Kent Hesterberg Propeller Table from Booth 318 – $550.00. Harvey Probber Travertine and Mahogany Dining Table c 1950 – $2400.00. 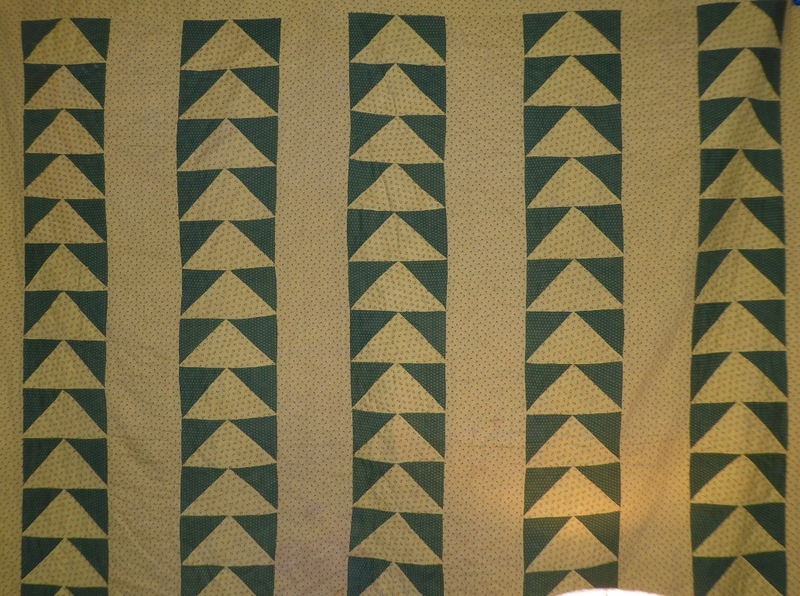 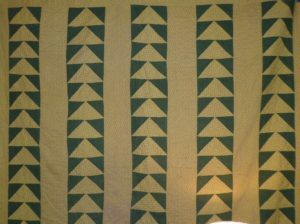 ‘Flying Geese’ Quilt $175.00, Booth 38. 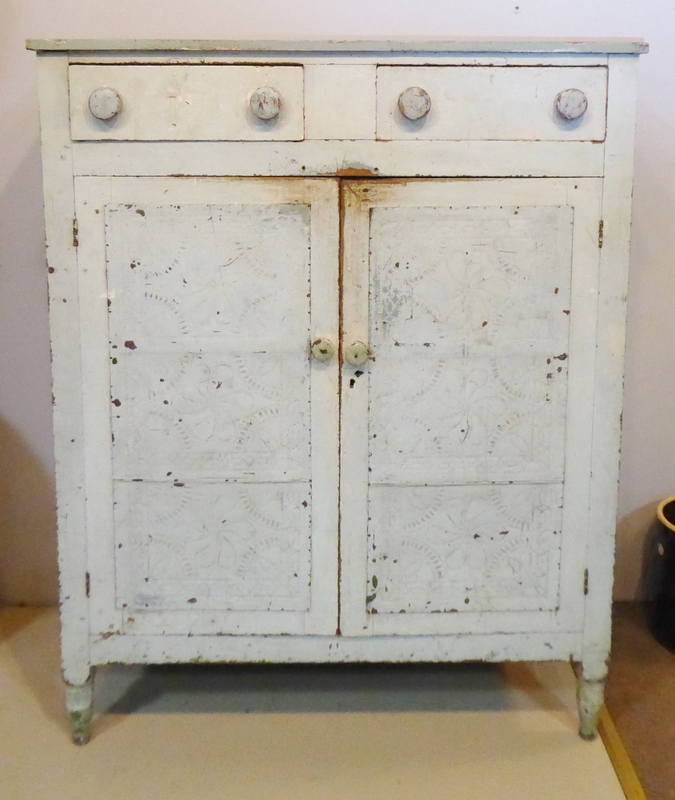 Wonderful Old Page County Pie Safe w Interesting Tins – Dovetailed Drawers, Booth 33, $1175.00. 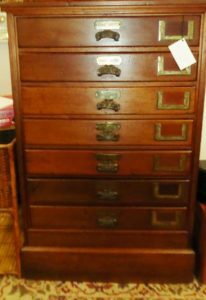 ‹ WWII Poster, Framed, and a Fabulous Solid Cherry Hutch!